Please be aware that there will be changes to your refuse and recycling collections over the Christmas period for the week commencing Monday 21st December 2015 and again at the New Year the week commencing Monday 28th December 2015. See below for full details. Categories: Uncategorized | Tags: christmas collections, Christmas refuse and recycling collection times in Lewisham 2015, Chritmas collection times in Lewisham, Lewisham's refuse and recycling collections, Recycling and refuse collections in Lewisham, Recycling collection times and dates in Lewisham, refuse collections at Christmas | Permalink. During the festivities of Christmas and the New Year, please don’t forget that there will be changes that will affect your bin collections. 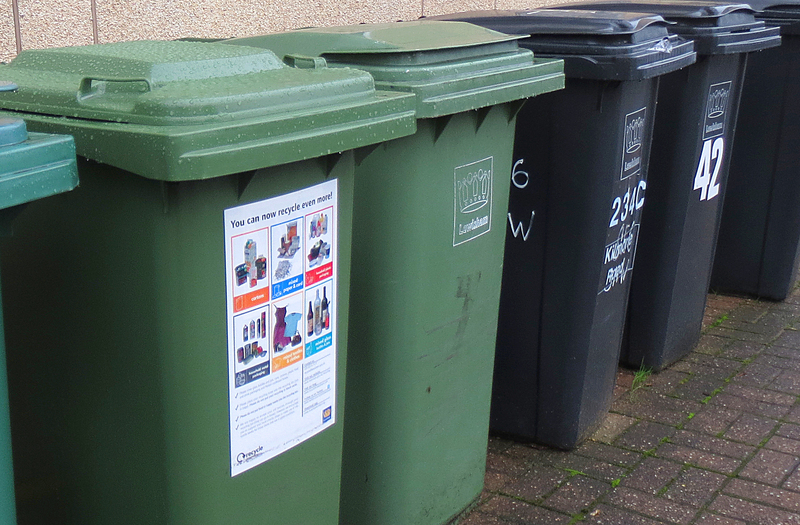 Don’t forget to put your bins out if you want a collection over Christmas and New Year. Categories: 180l bins | Tags: Bin collections, bin collections at Christmas 2013, Christmas bin collections, Lewisham bin collection at Christmas 2013, New Year bin collections, New Year bin collections in Lewisham 2013, Recycling and refuse collections in Lewisham, Recycling at Christmas 2013, Recycling collections in Lewisham 2013 | Permalink.